A federal judge has once again denied Texas Attorney General Ken Paxton's efforts to keep the federal government from resettling Syrian refugees in the state. Paxton’s office in December dropped its first request for a temporary restraining order to block the arrival of two Syrian families that arrived in Houston and Dallas that month. Godbey then knocked down a second request for a temporary restraining order to bar nine other Syrian refugees from arriving in Texas. But the state has emphasized it would still move forward with its lawsuit to block Syrian refugee resettlement. "At a minimum, Texans deserve to know if the people moving into our communities and neighborhoods have a history of providing support to terrorists," said Paxton spokeswoman Katherine Wise. "In today’s ruling, the court acknowledged the validity of our concerns but ruled existing federal law does not grant states a sufficient voice, which would effectively leave it to Congress to make necessary changes." The state's next move is unclear; Wise said the AG's office is "currently evaluating" its legal options moving forward. In his ruling, Godbey said Texas is unlikely to succeed in the lawsuit because it has "no viable cause of action" against the federal government. The U.S. State Department’s list of refugee arrivals shows 10 Syrians have resettled in Texas so far this year, all in Houston. 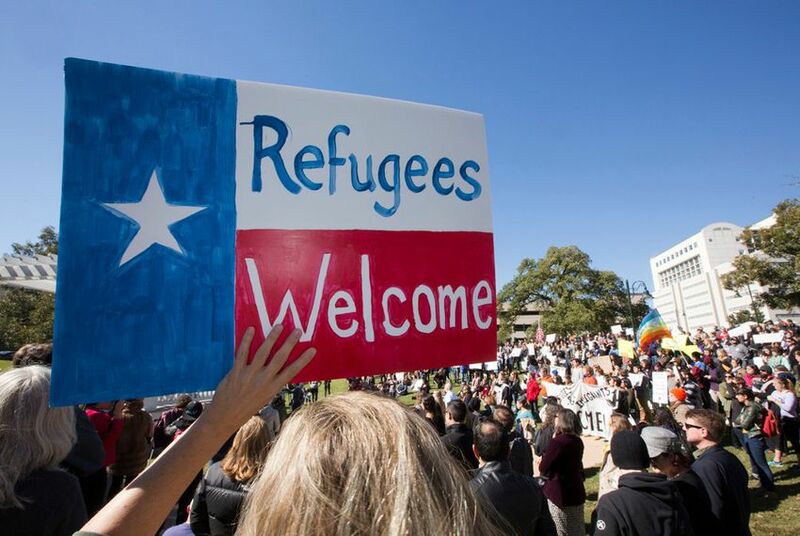 In 2015, 215 refugees from Syria were placed in Texas. Another, separate motion by the state asking the judge to temporarily bar the federal government from placing Syrian refugees in the state is still pending. In that request, filed in late January, Paxton said the Obama administration failed to notify Texas leaders about the resettlement of a seven-person family at least seven days in advance of their arrival — contrary to a previous order by Godbey. Lawyers for the U.S. Department of Justice acknowledged the missing notice. On Friday, they filed a notice informing state leaders about the arrival of another group of refugees expected to arrive in Texas this week.